Since the publication of the weak financial report for Q3 2018 on October 30, shares of General Electric have lost more than 34%. Starting at the end of November, the emitter's quotes are traded at a 9-year low; the fall exceeded 57% since the beginning of the year. Last quarter, the adjusted earnings per share fell by 33% (YoY) to USD 0.14, below the market expectations of USD 0.21. Last week, the stock of General Electric dropped by 5.04%. S&P500 index went down by 1.76% during the same period. The technical picture signals a possible correction after a prolonged fall. The emitter shows a reversal formation: price and MACD divergence. The company's shares are testing local levels of support and resistance at 7.20 and 7.85, respectively. Indicators show ambiguous signals: the price has consolidated below MA(50) and MA(200), and MACD histogram started to grow. Positions are to be opened from key levels. Comparing company's multiplier with its competitors in the industry, we can say that #GE shares are neutral. Resistance levels: 7.85, 9.00, 9.50. If the price consolidates above the resistance level of 7.85, one should expect the company's shares to correct. Potential profits should be locked in by orders at 8.50, 9.00, and 9.50. Stop loss – 7.20. 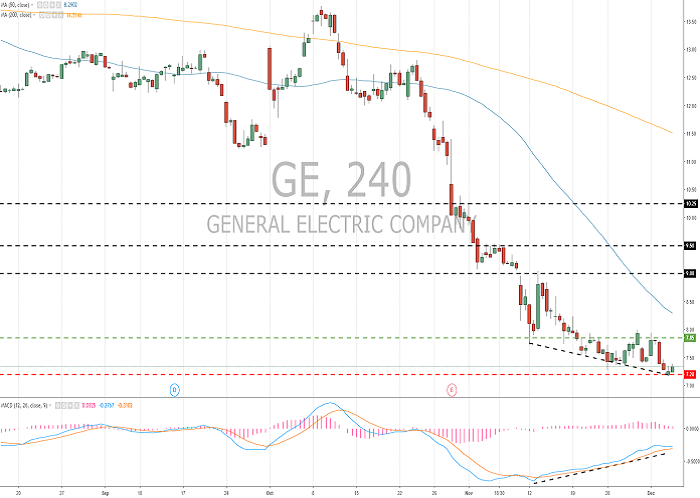 If the price consolidates below 7.20, sales of #GE may be considered. 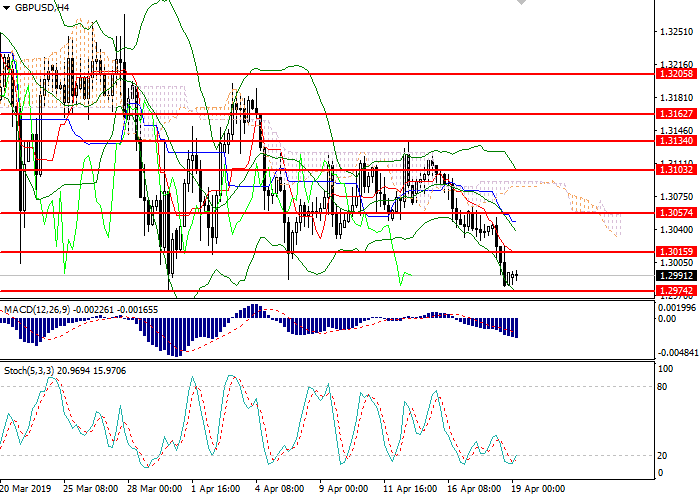 The moving potential is aimed at the area of 6.00-5.50. Stop loss – 7.85.